When I was a little girl I loved to listen to Casey Kasem’s Top 40 Countdown each week. As an adult I still love a countdown. Especially year end countdowns – year’s best moments, best songs, best movies…you get the picture. I decided to join in the fun with my own year end countdown. 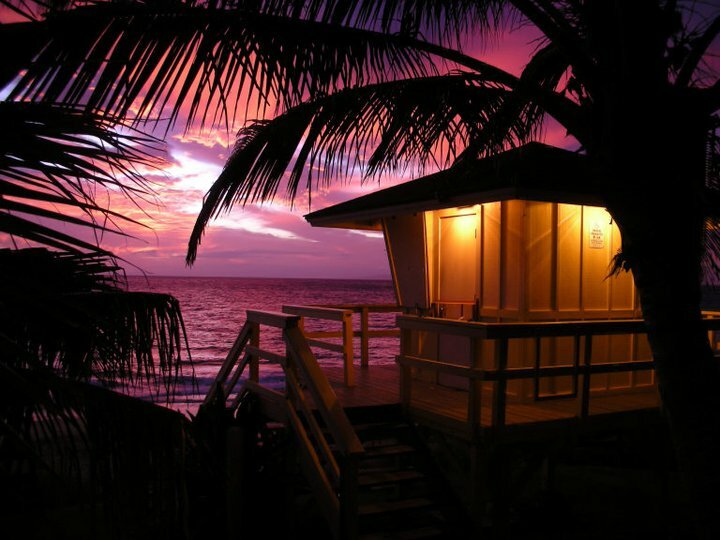 So without further delay here are the Top 5 Hawaii Discount Blog Posts of 2011! 5. Hawaii Discount Photo Contest – Hawaii Discount had 2 different contests in which the prize was a pair of airline tickets. The 2011 contest was a photo contest on our Facebook Page. We are planning another contest for 2012 so stay tuned! 4. 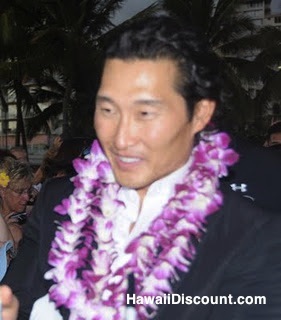 Hawaii Five-0 Season Two Premiere in Waikiki – We had a great time at the Hawaii Five-0 Premiere! It was exciting to get up close and personal with the stars of Hawaii Five-0. We saw Scott Caan, Daniel Dae Kim, Terry O’Quinn, Mark Dacasos and of course Alex O’Loughlin. 3. North Shore of Oahu – This was an entry in the Hawaii Tours Traveling Trio series. This was the day we jumped in a Hawaii Rental Car and headed to the North Shore. We spent the day exploring and enjoying the beauty of Oahu. 2. Big Island Helicopter Tours – I was thrilled to see the reaction to this post! 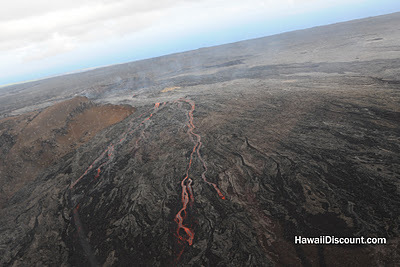 The sight of the lava and cascading waterfalls via helicopter was breathtaking. The beauty was indescribable but I tried my best with photos and video to share the beauty and magnitude of Kilauea and the wonders of The Big Island. This is one activity I would advise you to splurge on. The views from Hawaii Helicopter tours give you a new perspective on the world. 1. 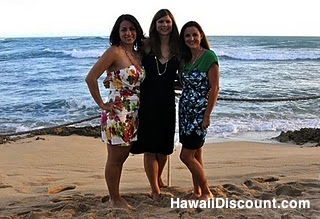 Hawaii Tours Traveling Trio – Meet The Trio – This was the first entry in the Hawaii Tours Traveling Trio Series. Not only did we have a blast experiencing the best Hawaii Activities together but it has been fun reminiscing as I blogged about each Hawaii Activity. I think Hawaii Discount needs to get the Trio back together for another activity filled trip! Be sure to leave a comment below if you agree! I am so grateful to my loyal readers. 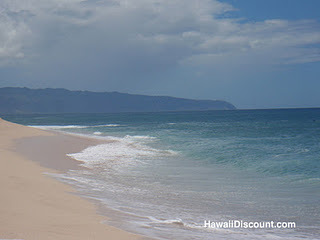 This has been a great year for the Hawaii Discount Blog! Be sure to leave comments and let us know the subjects you would like us to cover in 2012! This entry was posted in Hawaii Tours and tagged Big Island, Hawaii Five-0, Hawaii Helicopter Tours, North Shore of Oahu, Oahu, Traveling Trio. Bookmark the permalink.